An unnamed UK defense company has been granted a license to supply an unlimited quantity of goods to China's military, "including airborne radar technology likely to be used by the PLA Air Force," reports Stephen Chen of SCMP. The contract governed by an "open individual export license (OIEL)" has been active since April, two months after Prime Minister Theresa May visited Beijing, as made public by Britain's Department for International Trade. Unlike previous deals involving British arms sales to China, which were capped by amount and value, under the new agreement the supplier can “export an unlimited quantity of goods”, including equipment, components, software and technology for military radar systems, the department said. "It’s potentially a big license, and it does say the end user is the air force," said London-based NGO Campaign Against Arms Trade spokesman, Andrew Smith, who added that while the open individual export licenses are typically valid for between five and ten years, "the values are never published, so the figure could be very high." Smith also notes that it's not just the UK selling military equipment to China - and that "almost all the other big arms exporters do exactly the same." As SCMP's Chen suggests, Britain's deal with China implies that London and Beijing will continue to forge ahead economically despite the ongoing trade and geopolitical tensions between the United States and China. With the UK's pending departure from the European Union, many have pointed to the economic and trade challenges Britain will face. At the same time, China last year "doubled its direct investment in Britain to more than $20 billion," according to SCMP. Li Bin, a senior fellow working jointly in the Nuclear Policy Programme and Asia Programme at the Carnegie Endowment for International Peace at Tsinghua University in Beijing, said Britain was facing many challenges at home and abroad due to its pending departure from the European Union. As such, Li expects the UK to do more business with China - much to Washington's chagrin. In October, one of Britain's top radar scientists and chairman of the Defense Science Expert Committee at the UK's Ministry of Defence, Professor Hugh Griffiths, was recognized by China for his contribution to the advancement of Chinese radar technology. He was presented the "Outstanding Award for Chinese Radar International Development" at a Nanjing ceremony in front of more than 700 Chinese scientists. Another British communications expert, David Stupples of the University of London - "whose research focuses on electronic intelligence and warfare," said he had been invited to lecture at a Chinese government intelligence-linked technical institute in China. "China has made tremendous progress in radar design over the past 10 years and must be considered in the [world’s] top 10," said Stupples. 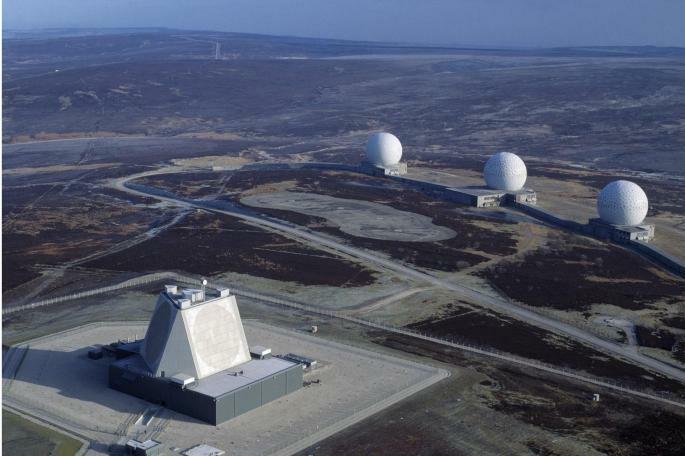 In space-based radar systems, for instance, China has shown “expertise and ingenuity”, but for maritime and airborne applications, “the UK is marginally ahead”, Stupples said. According to Xidian University's Wang Tong - the UK's technology sales to China would not go "too deep" because Britain shares such a massive amount of sensitive information with the US - and because of this, the level of technology allowed into China would be limited, and UK radar experts would not become directly involved in China's radar programs. "Sharing information about models and specifications is strictly prohibited. I believe both sides are fully aware of the consequences," said Wang. "Most of the time people are just talking about physics, mathematical models and new theories."